William was the first son of William and Elizabeth Gaskell. The Baptismal register of St Botolph, Shenley, Herts, records William Kingston Gaskell's baptism (wrong spelling) on 9th May 1797 and his birth date of 19th October 1796 is recorded in the College of Arms. William acquired the Gaskell family Grant of Arms - see the note of his father. In the St James, Fulmer, Bucks church rate book 1831-1848, William appears from 1831-1834 paying rates. It is assumed to be William Gaskell. There are no Gaskells between 1834 and 1842. In the Fulmer Register of Electors from 1832/1833 -1835/1836 William is listed as:- Abode - Bulstrode Cottage: Nature of Qualification - House & Land as occupier. In the Chalfont St Peter Parish rate book William appears in 1842. In the 1843 Tithe Map & Apportionment for Chalfont St Peter, the owner of "The Elms" is William Gaskell, the occupier Jane Hibbert. Apparently the Hibberts then owned the Chalfont Park Estate. In the 1863 directory, The Elms has a different occupier. According to the 1871 Census, William, aged 74, was living at 34 Regency Square, Brighton, living off Houses and Dividends. He had three servants, plus Mary Ann Winslow, aged 72, and then William's housekeeper. His will dated 8th March 1876 - see Appendix G21.2 - gave his address as 1 Lower Brunswick Place, Brighton. His effects were valued at under £40,000 and the executors of his will, proven on 28th July 1877, were William Plumer Gaskell, then of Chalfont St Peter, present at his death, and two others. He wished to be buried in a brick grave in Hove Old Church Yard or Brighton Cemetery. To Mary Ann Gaskell, formerly Mary Ann Winslow all household effects and £100. To his sisters Elizabeth Ann Rouse and Mary Gaskell £500 each. All remainder of real and residue of personal estate to be held in trust by trustees. To Mary Ann Gaskell the house and £800 p.a. for upkeep and the brougham and stable. Residue of rents and profits to be divided amongst the children of Charles Thomas Gaskell (his brother). On the death of Mary Ann Gaskell, everything to be divided between the children of Charles Thomas Gaskell. Mary Ann did not have any children - the will confirms this. Mary died on 19th August 1878 at 14 Bedford Place in Brighton where she was then lodging. The lodging house keeper, Mr Walter Watkins and her nephew George Edward Winslow, Pilot Master of Lynn in Norfolk, were executors of her will. Elizabeth was the eldest daughter of William and Elizabeth Gaskell. She was baptised on 27th March 1799 at St Mary’s Watford, Hertfordshire. The 1861 census states that Elizabeth was borne in Aldenham, which is very close to Watford, while the 1881 Census refers to her birth in Garston, Hertfordshire. 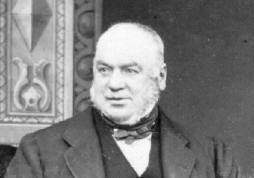 Rev William Gaskell Rouse was born c. 1827 in Old Windsor, Berkshire. He appears in the 1871 Census, aged 44, a Church of England Clergyman, living with his wife, Gertrude, aged 34, in Offley, Hertfordshire with three servants. Gertrude was born in St Kitts, West Indies, and her maiden name was Gertrude Maria Grace Payne daughter of Charles Gillies Payne and Mary Elizabeth Salusbury. William died in 1871 and in mid 1873 Grace remarried Philip Henry Phillips in Offley, where they had a daughter, Dora Gertrude, born mid 1877. According to the 1881 Census, this family was living at 27 York Road, Tonbridge, Kent. Henry was aged 36 and living on income from dividends; Gertrude was aged 44 and Dora 3. Also in the house was Gertrude’s sister, Isabel Payne, aged 53, and born in Tempsford, Bedfordshire. According to the 1901 Census, Gertrude and Philip were visitors (not boarders) in a boarding house in Christchurch, Sussex. Philip died in East Grinstead, Surrey, in 1910, aged 67. Amongst a collection of deeds etc deposited at Bucks County Record Office by a Mrs Hobbs, The Rising Sun, Thame, Oxon, there is within 287-8 Lease and Release 11/12th May 1838. (vi) Elizabeth Ann Rouse of Stamford Hill, Middlesex. (vii) Henry Rouse of Stamford Hill, esquire, Charles Gaskell, late of Trinity College Oxford, now of Sackville Street, Middlesex, esquire and others executors of the will of Benjamin Rouse (Release only). She appears again as Executor of her sister Mary’s will in April 1877 and was then living at 5 Manchester Street, Manchester Square, Marylebone. In the 1881 Census she was aged 82 and living in the home of her niece, Annie Gaskell, at 24 Upper Gloucester Place, Marylebone. Annie was aged 37 and also present were Elizabeth's nephew's, Charles Bruce Gaskell, aged 47 and William Plumer Gaskell aged 45. Probate records that Elizabeth died at her home - 24 Gloucester Place, Marylebone, Middlesex and that Roger Kynaston was, by then , dead. Ann was the second daughter of William and Elizabeth Gaskell. Ann was born in Aldenham, Hertfordshire, and baptised at St Mary’s, Watford, Herts on 24th February 1800. According to the 1841 Census, Ann was of independent means and living at 29 Devonshire Hile, Hampstead, Middlesex, with Amelia Gradlestone aged 50, to the nearest 5 years also of independent means and Marianne Gradlestone aged 12. Both born in Middlesex. There was also one servant present. The Gentleman’s Magazine records the death of Ann on 10th May 1845 at Hampstead. On 16th May 1845 Ann was buried at Chalfont St Peter, Bucks. The officiating Minister was G A Selwyn, the son of Letitia Frances Kynaston, sister of Ann’s mother. The will of Ann was dated 24th June 1843. The Executors were Charles Thomas Gaskell and Elizabeth Ann Rouse (nee Gaskell). Address: York Place, Baker Street, Middlesex. SPCK £50. Society for the propagation of the gospel in foreign parts £50. Elizabeth Head, wife of Mr Head £150. My cousins George Gaskell and William Gaskell £30. My goddaughters Charlotte Ann Wale Mountain 19gns and Charlotte Gaskell 19gns. My Aunt Charlotte Luard (nee Kynaston) - annuity for life £10. My Aunt Mary Groves (nee Kynaston) - annuity for life £10. Residuary of my personal estate (household effects, clothes etc) to my sister Elizabeth Ann Rouse and Aunt Mary Groves (nee Kynaston). The will was proved on 5th July 1845. Mary was the third daughter of William and Elizabeth Gaskell. The Baptismal records for Chalfont St Giles record that Mary was about 7 months old when christened on September 23rd 1803 and that she was born at The Vache, Chalfont St Giles. Mary appears in the 1861 Census at Fulmer House as unmarried and aged 58. Her will, dated 5th August 1871, stated that she was living at Fulmer House, but died in 1877 at 5 Manchester Street, Manchester Square, Marylebone. Her effects were valued at under £20,000. Executors were her sister Elizabeth Ann Rouse, also of 5 Manchester Square, William Plumer Gaskell, nephew, and a Barrister. She left various sums of money to numerous relatives, staff and friends. The residue of her estate was left to her sister, Elizabeth Ann Rouse and her Sister in Law, Charlotte Gaskell during their lives. See note on Charles Thomas Gaskell. William Kynaston Gaskell: The Fulmer and Chalfont St Peter Church Rate Books were viewed in the Parish Churches in 1969, but the books are probably now at Buckinghamshire Record Office in Aylesbury. The Tithe Map and Apportionment were viewed at Buckinghamshire Record Office. Ann Gaskell: The Gentleman’s Magazine entry recording her death in 1845 is found in part 1, page 672. Her will was viewed at the Public Record Office, now Family Records Centre in London.